Give an unforgettable experience with the Starlite Digital Gift Cards . Concerts of the best national and international artists, dinners at Starlite Restaurant, VIP tables in the different reserved areas at the Sessions stage, and much more. ¡The perfect gift for sure! Pick the amount you want to expend and exchange it for products offered in our website. 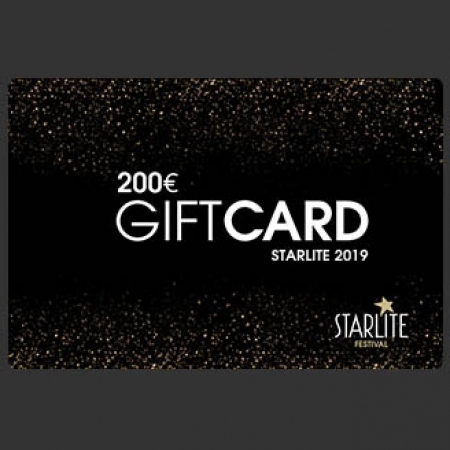 *Starlite Digital Gift Cards are exchangeable for products on sale through www.starlitefestival.com. 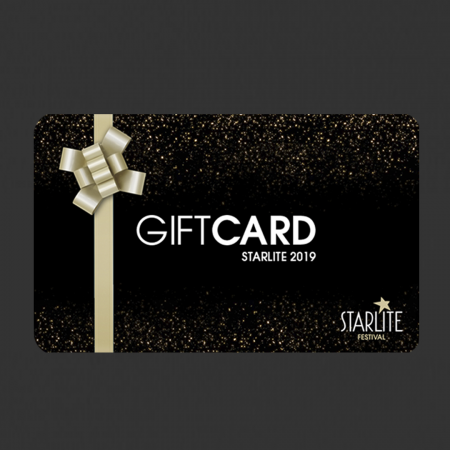 Starlite Digital Gift Cards are valid until August 24 th , 2019. This card is not an entrance and does not give access to any venue. Starlite is not responsible for the loss or misuse of the card. In case of loss, duplicates of the Gift Card will not be made. This card is exchangeable for products on sale on the web.